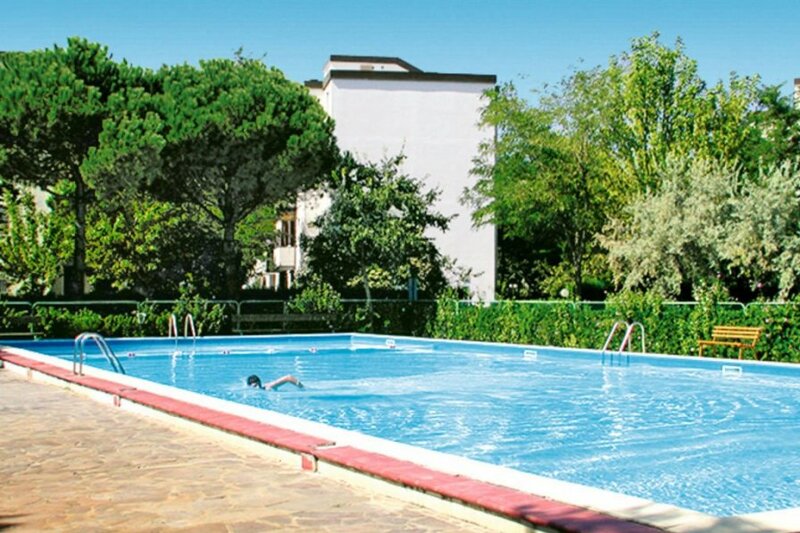 This 3 bedroom apartment with swimming pool is located in Lido di Spina and sleeps 8 people. It has air conditioning. The apartment is within walking distance of a beach. Apartment, 6 - 8 people, 4 room/s, 3 bedroom/s, 1 bathroom/s, approximately 65 m², 1 floor/s, apartment on floor 1. Feature: Property in an apartment house (max 4 floor(s), 4 building(s) in total). Equipment: TV; washing machine; combined heating/air conditioning (only in the hallway). Pool (shared use): 25.0 x 12.0 m, 01/06/19-10/09/19, children's pool. The agent describes this apartment as a family friendly holiday rental ideal for the summer holidays. For younger guests there is some vibrant nightlife not too far away. It is also good value for money. This apartment is located in Lido di Spina. The nearest airport is 107km away. It is set in a very convenient location, just 0 metres away from a beach and only 400 metres away from the city center. The apartment is well equipped: it has air conditioning, a dishwasher and a washing machine.